Long regarded as one of the nation’s most important writers, Poe struggled with poverty lifelong. 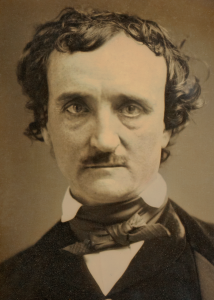 His dark-hued, melodic lyrics earned him little money or recognition—although his best-known poem, “The Raven” (1845) did win a literary prize—and his short fiction, ranging from tales of terror to the first detective story (“The Murders in the Rue Morgue,” 1841)—did not receive wide recognition until after his death. In addition to his poetry and fiction, Poe was a major literary critic—although his criticism was frequently colored by personal prejudice.